To meet increasingly stringent standards on combustion efficiency and pollutant emissions and to maintain fuel flexibility at coal and biomass fired power plants, a range of advanced monitoring techniques have been developed. This seminar reviews the recent advances in the development and applications of such techniques. Monitoring issues that are covered in this seminar include pulverised fuel flow metering, on-line particle sizing, on-line fuel tracking, flame stability monitoring, and flame imaging. Results from recent on-plant demonstration trials will be reported. Yong Yan received his BEng and MSc degrees in instrumentation and control engineering from Tsinghua University, Beijing, China in 1985 and 1988, respectively, and his PhD degree in gas-solids flow measurement from the University of Teesside, UK in 1992. 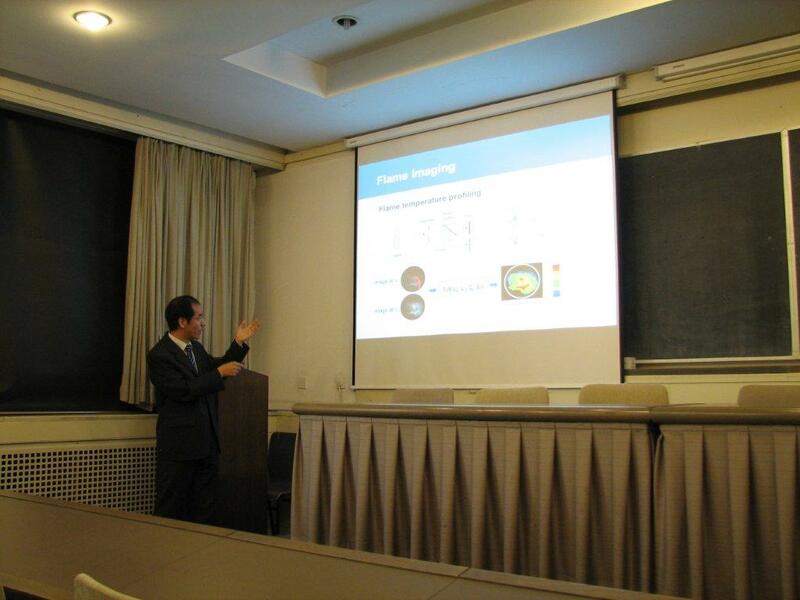 Prof. Yan started his academic career in 1988 as an Assistant Lecturer at Tsinghua University. In 1989 he joined the University of Teesside as a Research Assistant. After a short period of postdoctoral research, he worked as a lecturer at Teesside during 1993-1996, and then as a senior lecturer, reader and professor, respectively, with the University of Greenwich, UK during 1996-2004. He joined the University of Kent in 2004 as a Professor of Electronic Instrumentation and the Head of Instrumentation, Control and Embedded Systems Research Group. He has been Director of Research of the School of Engineering and Digital Arts since 2008. He has published in excess of 270 research papers in refereed journals and conference proceedings in addition to 12 research monographs. He is a member of the Innovation Metrology R&D Working Group and the Engineering and Flow Working Group of the UK Government. He has held the positions of Kuang-Piu Guest Professor at Zhejiang University since 2004 and Yangtze Scholar Professor at Tianjin University since 2005. In recognition of his contributions to pulverised fuel flow metering and flame imaging, Prof. Yan was named an IEEE Fellow in 2011. He is the first IEEE Fellow in the UK in the field of instrumentation and measurement. He was awarded the Achievement Medal by the IEE in 2003 and the Engineering Innovation Prize by the IET in 2006 and the Rushlight Commendation Award in 2009. He has been teaching electronic instrumentation and related modules at both undergraduate and postgraduate levels for 20 years. His contribution in engineering education was recognized by a national award from the Royal Academy of Engineering in 2007.